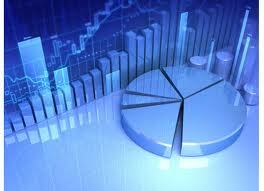 It is a common fact that employee turnover in a company has significant cost consequences. HR departments and managers deploy programs to create great work environments to prevent employee turnover. Some industries have higher turnover than others. However, despite the expected high turnover rate, companies are realizing that the acquisition cost of getting a new employee to replace someone who has left is meaningfully higher. Pre-departure costs—such as the reduced productivity of an employee who is discontented and using company time to look for another job, plus the costs of any efforts to retain the employee once he or she has announced his intent to leave. Termination costs—those related to termination of employment, including exit interviews, security precautions, pay calculations, and other recordkeeping costs, plus the unemployment tax impact and payments for severance, accrued vacation time, retirement plan contributions, and any extension to benefits. Recruitment costs—related to advertising, recruiting, interviewing, pre-employment evaluations, security and background checks, hiring bonuses, relocation, etc. Training costs—the cost of training new employees in necessary job skills can be significant. Productivity costs—related to new workers, who are generally less productive, require more supervision, and contribute less to customer satisfaction. Vacancy costs—lost sales or lost productivity while the position remains vacant, plus the cost of overtime or temporary help to cover fill in. 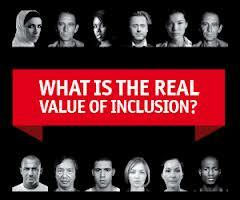 Corporate culture – high turnover is a reflection of corporate culture. 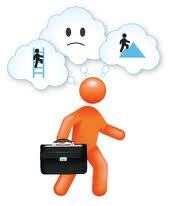 If potential candidate become aware of high turnover, this could further increase the corporate’s acquisition costs. It has been estimated that the cost of employee turnover could range anywhere from 50% of the employee’s salary up to 500% of the employee’s salary. Assume there are 100 employees in an organization. The average compensation is $50K per year. The employee turnover rate is 10%. That means about 10 employees leave the company in any given year. If the average cost is $50K per year, and the median is 130% or 1.3X compensation cost, then the total impact in this scenario would be $650,000. Thus, it represents almost 13% of the run rate of payroll. If there are programs that could stem the flow out by 50%, that would save $325,000 which represents 6.5% of payroll. This is a fairly significant statistic. And since 130% is a median across all industries, I contend that knowledge industries have a higher median than industries that are driven by low or medium skilled workers at the lower end of the pay scale. So what are some of the ways that would minimize this turnover? First, whatever the turnover number, the company would want to compare themselves to similar organizations in the specific industry or region. In fact, some turnover may be healthy to the company. Second, one single program may not be good enough. They have to consider multiple programs that could be deployed concurrently or over time. 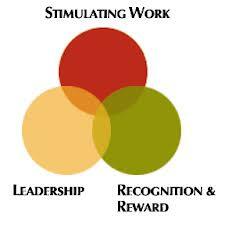 Employee involvement in job design, goal setting, and selection of rewards. Clear communication about company goals and ways employees can contribute to and share in its success. 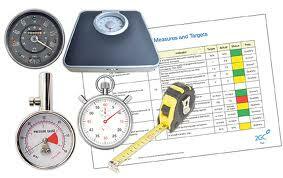 Incentive programs that reward people for significant and measurable performance improvements. Recognition programs offering meaningful recognition to employees for both tangible and intangible contributions to their company. Project-oriented approaches in which all employees can work on diverse, limited-term assignments rather than being sequestered within a single department or function. Developing talent exchanges to enhance careers by connecting employees with appropriate projects, roles, and positions within their companies. Training through coordinated programs designed to enhance employee knowledge and then rewarding employees for that increased knowledge. Consider cross training to enhance skills and improve productivity. This both satisfies employees and equips them to perform better. Fostering feelings of support by setting clear goals for employees and rewarding them upon accomplishment, and by promoting consistent values and recognizing people who embody them. This directs retention resources to actions and values that have a measurable benefit to the organization. Creating an atmosphere of fun with spot “atta-boy” rewards, contests, or meetings, specifically related to organizational goals and values. This creates an atmosphere conducive to retention while keeping the focus on achieving goals. Addressing the measurement issue by instituting “real-time” goal setting, performance measurement, and skills development programs to ensure that people always know where they stand, and to address performance issues and skill gaps before they become problems. Fair Compensation. No one said that compensation will have no effect on turnover and retention. Determine a fair wage in your labor market and do what you can to meet it. 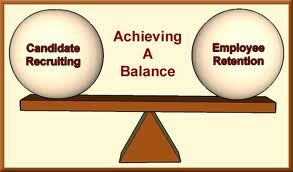 A fair and equitable wage and benefits package is the foundation for a successful employee retention program. Build trust. As mentioned above, a “climate of trust” is one of the factors that influence employee retention. Trust is built with employees through fair working conditions, management responsiveness to employee concerns, realistic performance expectations, and open communication, including one-on-one communications between managers and employees whenever possible. Don’t limit motivation efforts to star employees. Incentive, reward, and recognition programs should be expanded to include as many employees as possible, rather than just the top 5 or 10 percent. Remember, it is the large middle range of employees that can contribute the most in terms of improved productivity and lower turnover costs. Higher levels of motivation can translate into a 53 percent reduction in employee turnover, according to a recent study by Stephen Condly, associate professor at the University of Central Florida, Orlando, conducted for the SITE Foundation. No retention strategy can succeed without addressing the issue of employee motivation. 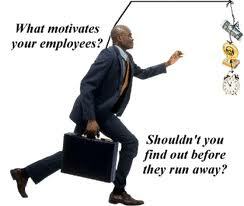 “Incentives, Motivation, and Workplace Performance,” a study conducted by the professors at the University of Southern California for the International Society of Performance Improvement, found the following factors critical to fostering motivation and loyalty. Work value. The research confirmed that people stay motivated when they value their work, no matter how mundane the task. Someone building a house for low-income tenants might get pleasure from the most arduous labor, knowing the good that can come from the effort. Organizations can foster work value by recognizing contributions in a meaningful way, and regularly communicating the organizational goals toward which each employee can contribute. They can add to satisfaction through use of incentive programs that set goals for quality or quantity, and reward those who achieve or surpass them. Training. Many people draw satisfaction from developing the capability to do their jobs better or acquiring additional skills or responsibility. Support. Most people gain satisfaction from knowing that their organization appreciates their effort. This often comes in the form of meaningful recognition to those who achieve their goals or who exemplify important organizational values. Emotional appeal. Yes, people work better when they feel happy. Properly structured incentive and recognition programs can foster an atmosphere of fun and excitement, even in dreary jobs. Measurement. Knowing how one is doing in the pursuit of a goal is another way to create satisfaction. Effective measures of quality and productivity keep employees focused on goals, especially if accompanied with proper recognition when they succeed.